A 100% white grenache, round with a mineral core and a touch of oak from being raised in Burgundian style oak foudres. 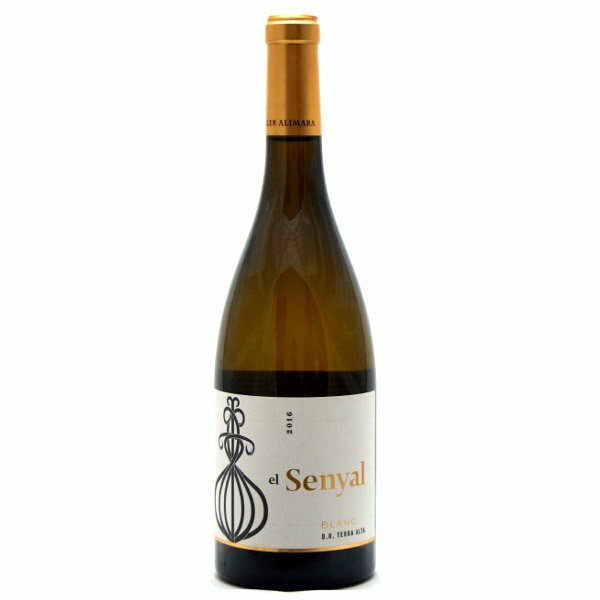 The grapes come from 30 year old vines grown at 420m overlook- ing Vall Major in Batea and from 25-35 year old vines grown at 410m at Mas de Cabrera in Gandesa. Both areas are dominated by poor limestone soils. The Gandesa grapes were picked earliest on the 7th September, with the Batea grapes a few days later, giving a nice range of freshness and ripeness between the two sites. The grapes were hand-picked then chilled to 2°C before sorting and destemming / crushing followed by a gentle pressing. The must was racked into stainless steel for a fermentation at 16°C before transfer to an oak foudre for 6 months maturation on fine lees. The wine shows a gentle banana, pear-drop and citrus nose with a creamy palate, a mineral core and long clean finish. As well as the traditional ‘roast chicken’ and rich cream-based sauces with meat or pasta, this wine pairs well with vegetarian foods like nut roast or grilled mushrooms. It also complements delicate fish dishes like turbot or sole in lemon and butter. The wine is ideally served at 12-14°C.